69 new entries added to slogans on water pollution, water pollution slogans, that include pictures. 1. Stop polluting healthy living. Water pollution is a harrowing issue that plagues the entire world. The contamination of groundwaters and surface waters of our planet have lead to the spread of illness and deterioration of the ecosystem. Aquatic animals have faced an estimated extinction rate five times more than that of terrestrial animals. Water pollution occur when pollutants (particles, chemicals or substances that make water contaminated) are discharged directly or indirectly into water bodies without enough treatment to get rid of harmful compounds. Pollutants get into water mainly by human causes or human factors. 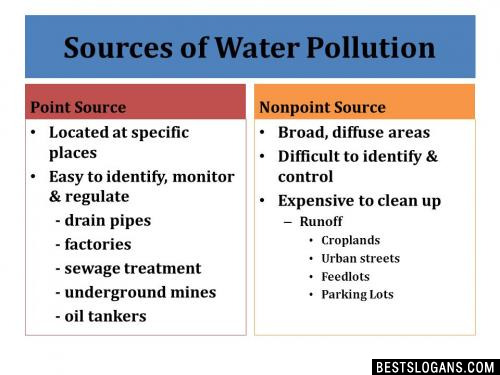 Water pollution can be a Point-source, Non Point-source, or Transboundary in nature. 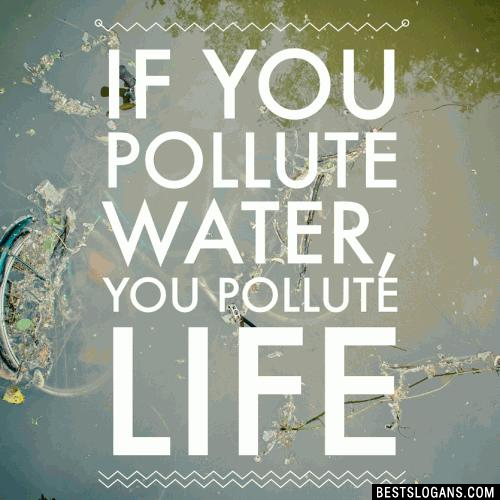 Water pollution is the second most imperative environmental concern along with air pollution. 1 Stop polluting healthy living. 2 Consider the ocean your living room. Keep it clean! 6 Lets move towards blue and green to keep the to keep the land and water cool and clean. 7 Be fair, don't pollute the water and air. 11 Wipe out pollution before it wipes you out. 12 Water Pollution is injurious to health. 13 Water Pollution if you don't kill it , it will kill you. 14 Water Pollution ain't cool so don't be a fool. 15 Join the No Pollution Revolution. 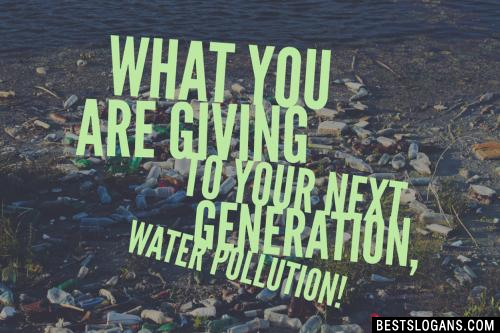 18 Fight water pollution before it's too late! 19 It's we who are spreading water pollution, nature will never forgive us. 20 Water is to drink not pollute and waste. A littered coastline in the Philippines. 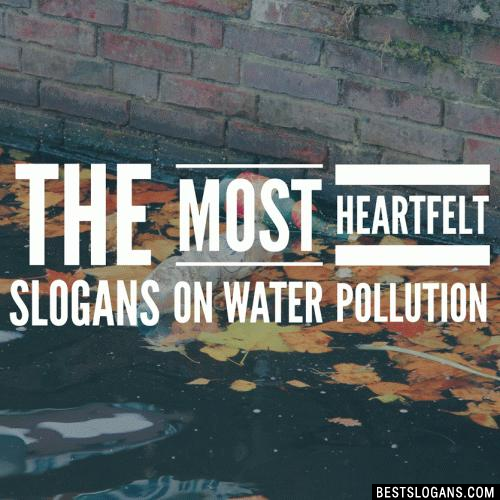 Can you think of a good Slogans On Water Pollution we're missing? Or come up with a clever one of your own. Please share below.